Be sure to take this magic food and sprinkle on the lawn, On Christmas, Santa’s reindeer travel miles before the dawn. The smell of oats and glitter path will guide them on their way. And you’ll wake up to Santa’s gifts next morn on Christmas Day! 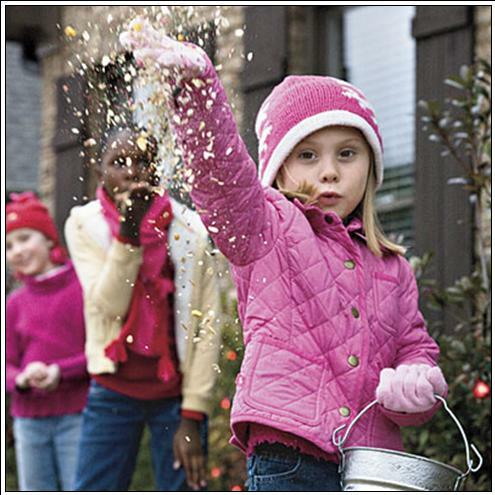 Note: many recipes for Magic Reindeer Food call for craft glitter, which can harm birds or wildlife if ingested. For safety, substitute colored sugar crystals and be kind to animals! Mix all ingredients, except for the white chocolate chips. Melt those in the microwave, one bag at a time, until soft. Be careful not to over do it, they burn easily. Pour melted chocolate over the mixture and work together. 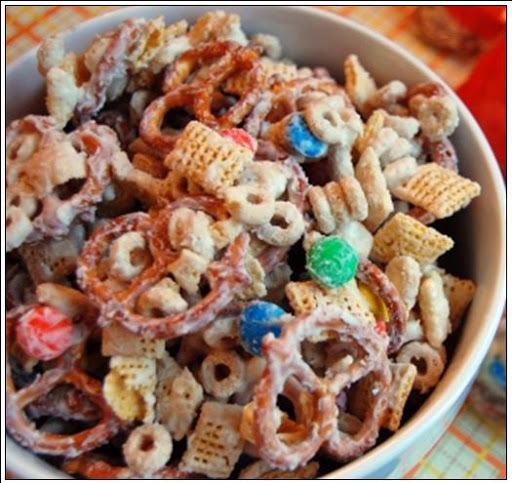 Lay snack mix out on a wax paper to set. Once it’s hard, break up into chunks.